Artra, a mixed-use project on Alexandra View, won in the Top Development category at the EdgeProp Singapore Excellence Awards on Oct 3. The development, next to Redhill MRT station, comprises 400 residential units and 16 commercial lots. It is developed by FEC Skyline, a joint venture between Hong Kong-listed Far East Consortium International and New World Development Co. 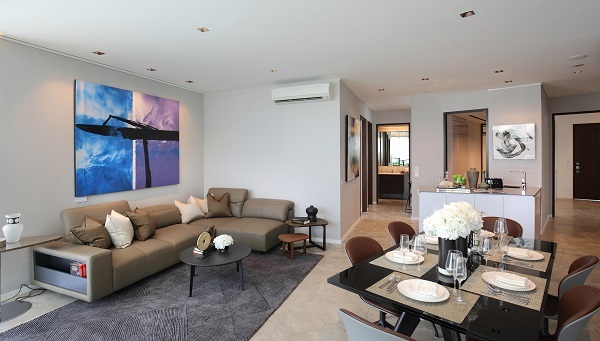 The 99-year leasehold development had its official launch in April last year. FEC Skyline sold 130 units, or 65% of 200 units released in just one day. As at end-September 2018, the project was close to 77% sold (307 units), according to Alice Tan, director of residential project marketing at Knight Frank. The average price fetched at Artra was $1,650 psf in April 2017; it has now risen 11.2% to $1,835 psf for the duration of April to September 2018, according to caveats lodged with URA. Tan attributes Artra’s popularity among buyers to the “unique” layout of the units. Instead of the regular rectangular layout in most developments, some of the units at Artra have a gradual slant to their shape. This, however, does not result in tight angles in the unit, but is “comfortable and functional”, she explains. FEC had in fact carved out the triangular space as storage spaces, hiding the odd angles behind cabinets.